Smooth Sailing: Can I say "Send me an email" with any confidence? Don't throw away the FAX machine! If you were one of the people affected by Telecom moving it's mail servers to Australia then you understand. Last week every one of our customers, that uses the Xtra/Telecom mail servers had issues with their mail. Because Telecom has such a large share of the market this impacted on just about everyone in New Zealand. Emails delivered late, received late, lost in spam filters and now the latest - spam not being filtered and coming through into our mailboxes. We cannot rely on Telecom to provide the service we expect. What can we do about protecting our businesses from this type of problem in the future? Change to another provider, of course the same may happen to them in the future - no guarantees. Install software such as Microsoft Exchange on your office server thus eliminating the need for an external mail server. Use GMail for all your mail. GMail can be set up to look professional if you configure it carefully. 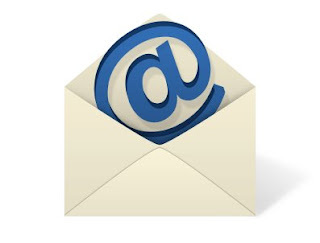 Stop using email for your important communications (yeah right!). Setup a dual system enabling your mail to be delivered to two different places. If one mail repository is down then switch to using the other. If you are a Spiral customer, you are welcome to call us. We can check the status of mail on the internet and we can check the website of your mail provider, although you can do this too. Where we manage a customers domain name the mail is often setup to flow through our server like water in a stream. When there is a blockage downstream, similar to a log blocking the flow, we sometimes see a buildup on our server. If this happens the mail sits on our server while it waits for the blockage to be cleared. During this time our server logs messages saying the mail was undeliverable and it will try again later, which it does. Remember, if you are sending a really important email and you don't get a reply then use the telephone. Looks like the fax machine will be around for a bit longer. Links to articles and comments on the Telecom mail problem. Has Telecom done enough over the Xtra Bubble fiasco?